Un-kerbed unmarked and used for around 1000 miles. My car is being returned soon so I am off to find a different one. Yellow dots are next to valve like they should be and he padded the machine arms so as not to leave marks. If you kept your car for a long time these would pay for themselves in fuel saving as they are a good 2kg lighter than the 17s. They also gave me more torque and of course sharper steering. 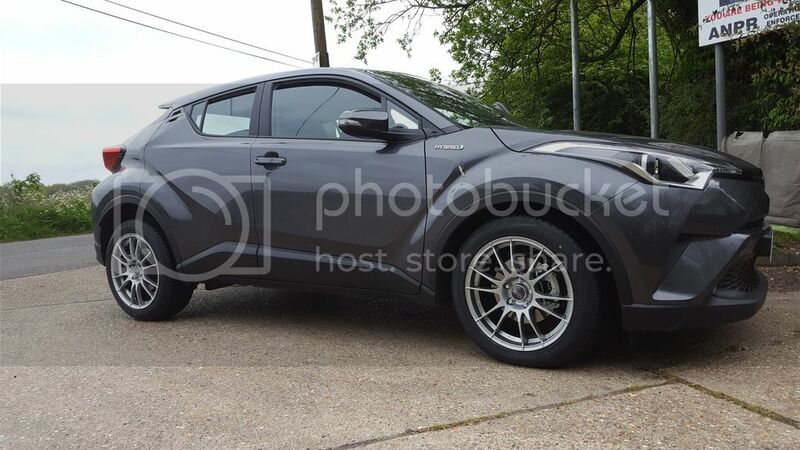 What do you consider a good price, also can you confirm the tyre size you have fitted and the rim specs?